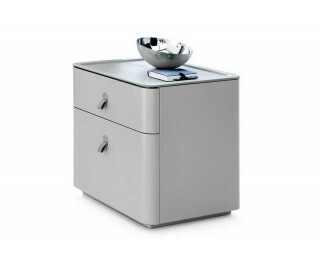 Kube simply elegant bedside accessories which express style and personality in matt lacquered MDF, in heat-treated or painted oak. Acrylic stone top covered in leather. Leather handles.